Jeff Moehlis: You first joined The Beach Boys 50 years ago this year. Bruce Johnston: Yeah, and I’m only 30. JM: [laughs] A mathematical impossibility! BJ: I know, but we can do that in California. JM: That’s pretty amazing. How do you feel about the 50 year milestone? BJ: That doesn’t matter, actually. I just think it’s amazing that the music is alive and in good health, sung in the original keys as the original recordings. Every part is exactly what was created by Brian. It’s all written down, not unlike going to hear Tchaikovsky. It’s all written down. So I feel good about being… hmm, what would I be? I’d be a platinum spoke in a titanium wheel. That’s what I would be. JM: How did you come to join The Beach Boys? BJ: After school, I got a really cool job, I mean, a really ridiculous job. I went to work at Columbia Records, which is now owned by Sony, as a producer. As a very young producer, barely 21. I knew everybody – you know what I mean? It was a very small world then. It was like a little town. I went to high school with Jan and Dean. Jan and Dean recorded at United, a studio across the street from Columbia Records, and just down the street like another block The Beach Boys were coming to life at [United] Western Recorders. It was a five minute walk. I and a guy named Terry Melcher [were producers at Columbia] – you would know him from producing “Mr. Tambourine Man” and “Turn! Turn! Turn!” by The Byrds, and “Kokomo”. You know, a small town. 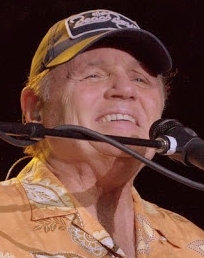 Mike Love called me one day, and said, “Bruce, Glen Campbell’s been filling in for us for three months. And he’s unavailable to come on tour for this weekend.” He asked me to recommend people. I called ten people, early in the morning, and couldn’t find anyone. It was on a Friday, so I said, “Look, I can jump on a plane. I’ll come to New Orleans. I can certainly handle a couple of shows.” And that’s how it started. JM: I’m sure at that point you had no idea that it would last so long. BJ: Not really. And I had my really great job on staff at Columbia. But I could see from a couple of hits that I had that the older gentlemen that ran the company were just going to try to apply whatever we did to all of the artists they had signed, which was stupid. I thought, “Uh oh.” So that was in the back of my mind when the Beach Boys magical weekend – April 9, 1965 – started. And one thing led to another, and here I am driving around Santa Barbara taking advantage of all the post-Christmas sales. JM: Perfect. Not too long after you joined, The Beach Boys recorded the Pet Sounds album. BJ: I made three albums in the first year. I went on tour and made three albums. The first album just started as I joined the band – it was called Summer Days(And Summer Nights!). It had “California Girls” on it, and “Rhonda” was Number 1 – it was a rerecorded “Help Me, Rhonda” that became the hit. 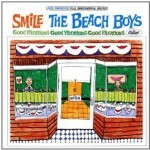 The second album [Beach Boys’ Party] had “Barbara Ann” on it. And then the third album, all within one year, was Pet Sounds. Amazing. JM: Regarding Pet Sounds, I read that you took a copy of it with you to London and played it for Paul McCartney and John Lennon, the first time that they heard it. BJ: Well, I have no idea if it was the first time that they heard it. All I know is that Keith Moon got them to show up at my hotel, and I played it for them twice. Bounce back to The Beatles and Rubber Soul. I was at Doris Day’s house, who was a very famous movie star and singer – her son was Terry Melcher. Brian was there, John Phillips was there from The Mamas & The Papas, Mike Love was there. 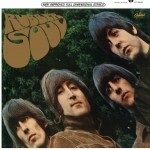 They released Rubber Soul in December – not a smart move, they should’ve started in October. Brian was so shocked that that album seemed to fit front to back thematically, not unlike Frank Sinatra albums and Johnny Mathis albums, you know, the pop music of the time. And he came up with the concept of having a front to back album. So that’s Pet Sounds. By the time I played it for The Beatles, Rubber Soul had done its beautiful thing, and they were recording and finishing Revolver. Sgt. Pepper was on the way. So the feedback I got was that they kind of distilled the feeling and sentiment from “Wouldn’t It Be Nice” into “Here, There and Everywhere”. So I think that might be the influence on The Beatles. Certainly McCartney just loved “God Only Knows”. I was just one of those lucky guys. I just kind of came in off the platinum streak [laughs] and joined the band. JM: And I imagine that it was fun to hang out with Keith Moon during that trip also? BJ: Well, he was a young guy. He was really fun, really outrageous. I didn’t really see the drug thing. Of course, I’m the kind of guy that you probably would look at and think that I could do your taxes. So things might’ve been hidden from me. I’m still that way [laughs]. JM: After Pet Sounds came the recordings for Smile. 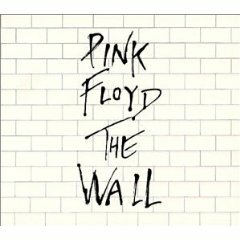 I’m personally very happy that the original recordings came out a few years ago. 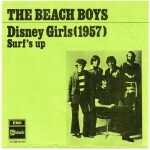 When you listen to those recordings now, do you think it lives up to the legend as the great lost Beach Boys album? BJ: I think that it was never lost. It just was never finished. It’s still not finished. You know what it’s like? It’s like having an album… Do you ever listen to NPR radio? Do you ever listen to how incredible the music bites are for All Things Considered? Oh my God. I mean that stuff… I don’t know if they’ve ever put that stuff out as an album. I mean this as the highest compliment I could pay right now for that album – the Smile album – I compare it to those brilliant sound bites. Because it’s still not an album. I mean, it came out as an album, but it’s still a finished unfinished album. Instead of hearing the bootlegs, you get to hear the full fidelity. We worked really hard on that album, with Brian. But he was going through a lot of problems. I guess he just couldn’t emotionally connect all the dots. JM: Any stories that you’re willing to share from those recording sessions? BJ: It was just brilliant. What else can I say? Absolutely brilliant. It was a pleasure to sing. You know, I didn’t see the behind-the-scenes thing at Brian’s house, or what mindset he was in. I was always in the sessions. I don’t know what to say. Like you, I read all the backstory stuff. I was there for the music, and you can hear what happened. It’s really awesome stuff. It’s kind of fun to hear the bootlegs, but actually there’s more than the bootlegs out. It’s kind of cool, I think. JM: Jumping forward, I saw you guys a couple of years ago at the Santa Barbara Bowl as part of the 50th anniversary tour. Of course Brian was a part of that as well. What are your reflections on that tour? BJ: Hey, I’m a Santa Barbara guy. Forget the tour! I’ve been coming to Santa Barbara since I was 4 years old, and I moved here in ’85. We played The Bowl a number of times, starting in ’65 [JM: actually according to my sources it was July 2, 1966, when what is now known as the Santa Barbara Bowl was called the County Bowl]. I thought that concert was really cool. I knew half the people in the audience. Mike knew a lot of people, because he used to live here, which I think is really cool. It was so welcoming. I saved, inadvertently, one song that I love to do. I did it at the Hollywood Bowl. It’s one of mine. I don’t push my songs onto Beach Boys albums very much. I played “Disney Girls”, which is a very special song. It’s my best song that I wrote. I could never get anything close to what Brian and Mike wrote, but that’s my little thing. I had lost a little part of my voice – it was just hoarse – so I knew I couldn’t perform that. So now, two and half years later, I get to play at the Granada, which I think is the best theater in the United States. I pushed to play there. Our promoter is really cool. He did the knee-jerk thing – “Yeah, we’ll go to the Arlington.” I said, “Hey, there’s nothing wrong with the Arlington, but I know what went into refurbishing – sonically, visually, and structurally – the Granada. You’ve got to go take a tour and see what you think.” And he came back and said, “Done, I made the deal.” He wanted to do two shows, and I said, “No, let’s just do one show.” You’re talking to local Bruce here. What I would like to do sometime is come back and play as one of the events for the Music Academy of the West, with their symphony. Because we do a lot of symphonic concerts. That symphony – they’re young girls, young guys, they’re on fire. The Santa Barbara Symphony is also awesome, but I’d like to play with that organization. So I didn’t want to have us overplay in Santa Barbara in a weekend. JM: I hope something like that comes through. BJ: We do this all the time. We start next week for our tour, but our next symphonic is going to be two sold-out nights – they had to get a bigger venue – in Hong Kong, with the Hong Kong Philharmonic. It’s such a cool show. The 50th was rockin’. I thought it was a great show in Santa Barbara. What Mike and I do is killer. We cover all the hits, and then, like in television programming they’ll have a new show and they’ll surround it with hit shows, that’s what we do with some of the deeper tracks. We’ll protect it with hits on either side. And then singing symphonically, that is a whole thing, too. 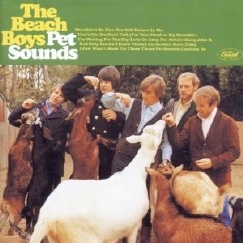 As I recall, Brian did a symphonic Pet Sounds that was really great. 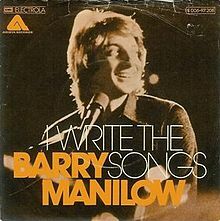 It’s Brian’s music and Mike Love’s lyrics, for the most part, not overlooking other writers that Brian wrote with. BJ: First of all, get a business degree. Study music privately. And read Donald Passman’s book about the music business, just in case you want to be galactic president of the music business. 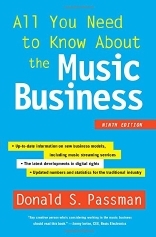 The title is “All You Need to Know About the Music Business”. It keeps getting updated. Many schools have music business degree courses, and that’s the textbook. It’s so much fun to read, and it’s very accurate. It’s how you do it, and once you do it what you’re going to make. It’s pretty cool. That’s what I would do. I would say the other answer to your question… I watched the drugs take the magic away from a lot of musicians back in the day. The drugs were taken to see if they could improve the magic, but it went the other way. I’d probably skip drugs. I did, and I’m still standing. That’s all I can say. BJ: Still singing, and I don’t have that wobble vibrato – [sings] whoo, whoo. It’s a horrible thing. And guess who doesn’t have it? Tony Bennett. He’s 89, and he’s doing 100 concerts a year, and instead of doing [wobbles] “doo-oo-oo-oo”, he goes, [sings] “What’s new, how is the world treating you?” His thing is the Great American Songbook. There’s a lot of good stuff. And you can see this all in Santa Barbara, at our theaters – at the Arlington of course, and the Granada, and at the Bowl, and the clubs. There’s a lot of music here, probably because it comes to LA and they get to bite off another show up here. JM: We’re quite lucky here. BJ: Oh, we are blessed. We get everybody. JM: I’d like to ask you about a few things other than the Beach Boys. I read that you played in the backing band with Ritchie Valens, and with Eddie Cochran. BJ: Oh, I forgot about Eddie Cochran. I should mention that once in a while. I only played with him once – that was for a local TV show. But who didn’t know “Summertime Blues”? It was a hit. And he was cool. Actually you’d think it was a Nashville rockabilly thing, but he recorded at Gold Star, where Phil Spector worked, and part of “Good Vibrations” was done, in Hollywood at that studio. For me, the thing I really liked was this guy getting a little too big for his guitar, because it was a junior high school guitar, and it started to look like a viola around him. This is before he had any money and got a new guitar. He had a chart record called “Come On, Let’s Go”. 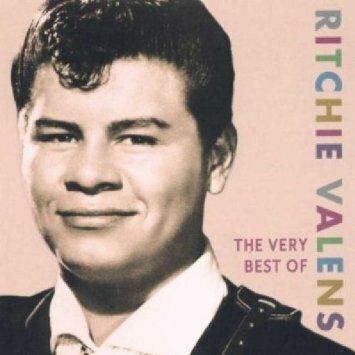 It was Ritchie Valens. Most of the artists back then didn’t have a band, so they always had a little house band. I’m rehearsing with him at 15 years old, and then I had my birthday and two nights later I backed him up for the first time. [laughs] So, it was really cool. We played two songs. Remember Leiber and Stoller, the great writers? They had a song called “Framed”, that was a hit. So we did “Framed”, and “Come On, Let’s Go”. That’s one of many artists I backed up as a 16 year old in this house band. I did no singing, and I got really friendly with Ritchie. And then he went missing in action for about two and a half weeks of shows, that I guess he wasn’t booked on. And then we did one more show at the end of the summer, and I asked him, “Ritchie, I haven’t seen you. What have you been doing?” He said, “Well, because of ‘Come On, Let’s Go’, my manager” – who also owned the record label – “decided that we should make an album. So I started making the album.” I said, “What did you record?” This is really cool. “Well, I recorded cover songs, I wrote a song about my girlfriend” – “Donna”, which was a big hit, “and we also recording the Mexican wedding song.” Now, he never told me the name of the Mexican wedding song, but it was “La Bamba”. So, that’s the last conversation I ever had with him. That’s kind of how I started out. I was going to school, simultaneously trying to get into the music business, and one thing led to another and I wound up… you know, it doesn’t feel like all these years, honestly. I’m kind of a healthy guy. I went surfing this morning. It’s about four feet from my house. 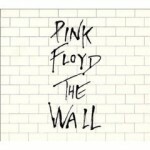 JM: You did vocal arrangements and background vocals for The Wall by Pink Floyd. What sort of instructions did you get from Roger Waters, and what was that experience like? BJ: I went to his house with Harriet, my wife, and I walked in and I thought, “Oh my God, these guys are probably going to be just out of their minds.” I walked in, he’s there with his wife in Beverly Hills, and his young kids. He looked like Cary Grant coming off the tennis court. You know, [in British accent], “Hello, how are you?” I thought, “Geez… What about Dark Side of the Moon?” Anyway, so he just wanted voices. So about two weeks later I got a call from Roger, and he said, “I still want to do voices. Can you get me some voices?” I said, “Well, I can’t get the band because they’re doing this.” I used this one girl, Toni Tennille, I don’t know know if you know who she is? JM: Yeah – Captain & Tennille. BJ: Right. I used her. I had used her on Elton John’s recording of “Don’t Let the Sun Go Down on Me”, which was Number 1. So I called her in and a couple of other people, and that’s kind of how it started. It was really cool. JM: Of course, you also wrote “I Write the Songs”. How did that song come together? BJ: Can you believe the yin and the yang of having an interview where a guy’s worked on several tracks of a Pink Floyd album, and now we’re talking about “I Write the Songs”? You know what an epiphany is? I had an epiphany about where music came from, in my head. I always write the chorus first. So I started humming it. I was on the San Diego Freeway, and I thought, “I’d better go home.” So I got off and circled back over Mulholland and back down going the other way to Brentwood, on the San Diego Freeway. It just kind of spilled out, really fast. I didn’t write it for any artist. People always write that I wrote it for Brian Wilson – no. Why would I write a song for Brian? I mean, you don’t write songs for songwriters. If you write a song for someone, you either write it for an artist specifically, or you have one of those songs that can have many homes. So I wrote it, and what’s behind it… If you listen to the first verse, “I’ve been alive forever and I wrote the very first song.” It’s really like a hymn about God. It’s not even religious. It’s just connected to that thought of where it all comes from. So it’s kind of like a hymn, like a very subtle hymn. Fast forward about two years later. He calls me, and says, “I want to play something for you,” and he played my “I Write the Songs”. So it was really cool. 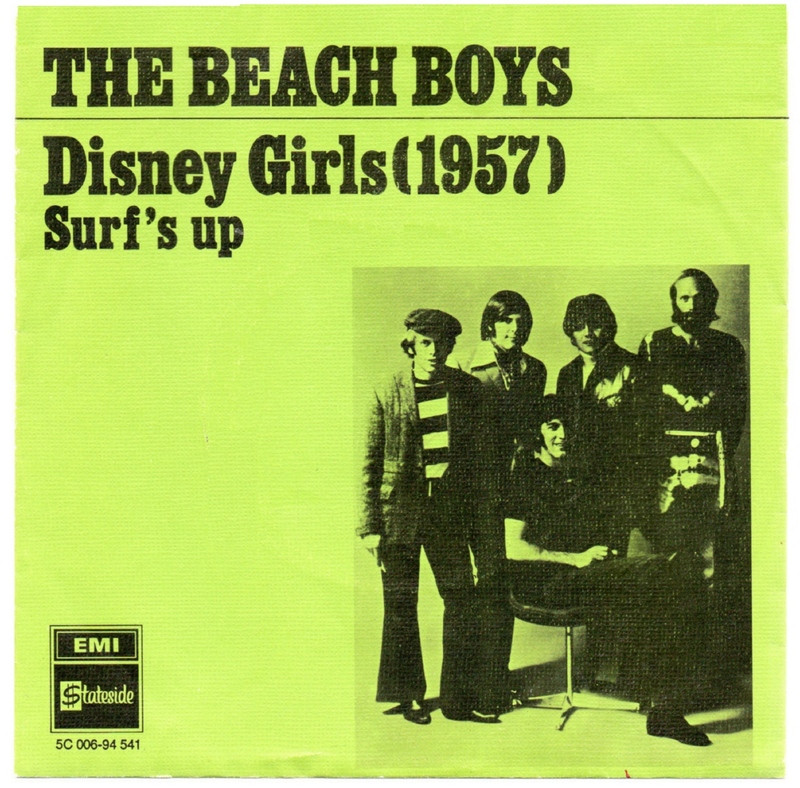 JM: Back to The Beach Boys, is there anything in the history of The Beach Boys that you think is generally misunderstood, and you’d like to help clear up the record on? BJ: There’s another genius in the band besides Brian. JM: There is another genius? BJ: Mike Love. People kind of forget that. You know, it’s kind of like listening to Henry Mancini’s Academy Award winning song “Moon River”, and forgetting that Johnny Mercer wrote the words they’re singing. So that’s all I have to say. I’d like everybody to know that I’m one of the Advisory Board founding members of the Surfrider Foundation. Mike is on the board. We started with $5,000 in 1984. We have 85,000 members, and all you need to say is there actually is more than one guy in the band that surfed. Dennis surfed – I used to surf with him. If you come to the show, if you watch the video at the beginning with the DJ Wink Martindale, the first guy play “Surfin'”, if you watch it closely you’ll see me surfing, you’ll see Dennis surfing, you’ll see Corky Carrol surfing, and you’ll see Al surfing, up at Point Conception at the ranch. JM: Yeah, people would say that Dennis was the only surfer, right? BJ: Well, everybody surfed. I stuck with it. If Dennis was living today, he’d still be doing it. We’d probably still be surfing together. Now here I am, living on the beach, and I just walk four minutes to where I paddle out. JM: If you’re in The Beach Boys, what could be better? BJ: Well, I mean, I’m a healthy guy. Like I said, I skipped over drugs, I never smoked, I just drink a glass of wine. I kind of stayed healthy. Al Jardine and Mike Love – those guys [also] skipped all that stuff. JM: Of course I have to ask, are there any plans in the works to reunite with Brian, Al, and David Marks? BJ: I haven’t heard of any. I do recall reuniting with them two years ago. I thought that was pretty good. JM: Of course, a lot of people would like for that to go on. But nothing in the works? BJ: As the newer member of the band I kind of do what I’m told. My dream would be to be able to sit in the audience and watch the guys that are left sing. I haven’t been able to see the band thing since 1964 in San Francisco, at the Cow Palace. Don’t forget – I’m a fan, too. JM: Here’s a last, kind of random question. I read that you were friends with Kim Fowley from back when you were both getting started in the music business. 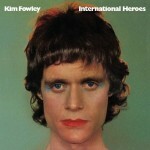 Any good Kim Fowley stories? BJ: Well, he was just one of the brilliant invisible people that assist people, like in the movies with angels taking people to heaven. He was just one of those guys that helped a lot of people have hit records. Amazing, amazing guy. One of my great friends. As is Rodney Bingenheimer, if you’re going to go Hollywood on me. I love all those guys. JM: Well, it seems you’ve lived a charmed life. BJ: Well, here’s my life. You know how cool the car was in The Flintstones? I mean, it was the best car you could have. And that’s me. But you’ve got to remember, anyone sitting in that car has to power it with their feet. So, it may be charmed, but I had to work very hard. My only disappointment is that Brian and Mike deserve all the Grammys they could ever earn. They were nominated many times, and there’s still no Grammy for that Lennon/McCartney style writing team. It really bugs me. I mean, I’m very happy to have my own songwriting Grammy, but I think that life is very unfair. The Grammys are real, people vote on them, there’s no fixing it. There’s no monkey business in the Grammys. For all the great songs those guys wrote, there should be at least 4 or 5 Grammys sitting on each guy’s shelf. JM: Did they win a Lifetime Achievement Grammy? BJ: No, no, that’s not a Grammy. We all have it. It’s a beautiful etching in glass from Tiffany. But it’s not a Grammy. They give some honorary Academy Awards that are Academy Awards. You know, I was a governor for four years with the Grammys. I should suggest that. They should realize that there are people that didn’t get one that should have one, that have proved their staying power. Those guys as writers trump me. I don’t mean Trump, with the blonde surfer hair. You know, like in games your grandparents play. They totally trumped me. I’m still always in awe at how incredible their songs are. My favorite, favorite, favorite song and recording in the Beach Boys world is called “The Warmth of the Sun”. You should download it immediately, if you want to hear better than what the best can be. It’s shocking. It’s so cool. It’s my desert island recording. For Beach Boys, that’s what I’d take to the desert island. For more Beach Boys content, here is an interview with Mike Love, and an interview with Al Jardine.